The Guest of Honour for 2012 was Sir Paul Coleridge, OC, who has recently been featured in the press after the May launch of The Marriage Foundation, which seeks to give a public voice to the view that marriage is the most stable basis for bringing up children. Sir Paul movingly explained how, on looking back to his own times at Cranleigh and his disappointing 1966 A Level results, he blamed his home life, rather than the School: “I now know where the real problem lay. It was because my parents were conducting a low level war against each other throughout those highly impressionable years known as my adolescence. I took my eye off the ball and they were too preoccupied to notice. Home was highly charged and school a place where I could relax. I relaxed too much”. However, Mr Justice Coleridge added that he felt his time at Cranleigh developed him in more subtle ways: “Cranleigh’s influence in a number of important areas of my life is unquestionably still very much with me and part of me”. Sir Paul felt a key lesson learned was how to have fun and see the funny side of situations. He ascribed his passion for English literature, especially Shakespeare, to the inspiring teaching of John Savage and John Vallins; and his fascination for history to that of Duncan Noel Paton. He added to this his love of acting, his love of classical music and also his Christian faith. Sir Paul added that his son left Cranleigh in 1999 with a better set of A Level results and ended with five thoughts. First, that qualifications are not, by themselves the key to success, happiness or personal fulfilment. Secondly, that the most important ingredient of a child’s development and education is the stable relationship of his or her parents. 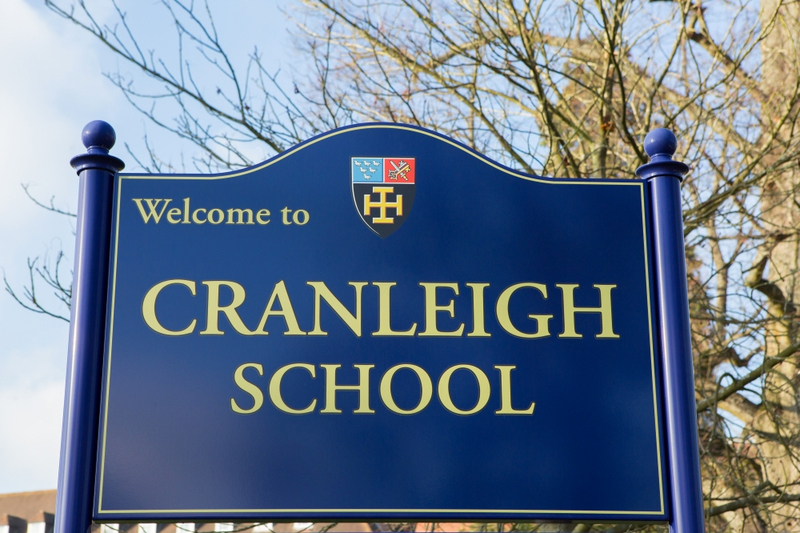 Thirdly, to make the most of what Cranleigh has to offer on top of academic studies. Fourthly, if you do not do as well as you hope, don’t fall into the trap of blaming the School. Fifthly, he urged today’s Cranleigh pupils to enjoy themselves, adding, “I doubt you will ever laugh as much as in a place like this”. The Head, Guy Waller, began by thanking all non-teaching staff at the School before inviting the Chairman of Common Room, Paul Leggitt to bid farewell to teachers leaving Cranleigh at the end of the term. 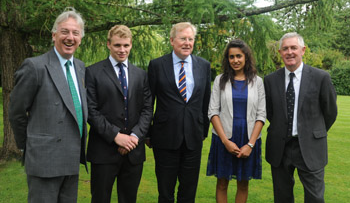 In reviewing what he stressed was an “exceptional” year for the School, the Head highlighted the nine Cranleighans offered Oxbridge places in January. 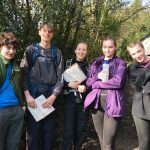 He praised the near professional standard of the year’s major drama productions and singled out two of no fewer than twelve Cranleigh musicians who achieved distinction at Grade VIII. He reminded the audience in the Trevor Abbott Sports Centre that the 1st XV gave Wellington one of the biggest defeats they had suffered in recent years and that eight of the team represented their county, with two selected to play in the famous floodlit London Sevens. One of those, Henry Taylor, vice-captain of the England U18 XV, being one of Cranleigh’s nine U18 rugby internationals in the last ten years. He detailed also the tremendous success at several age levels that makes Cranleigh currently amongst the top handful of hockey schools in the country for both boys and girls. 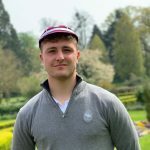 Guy Waller outlined the boys’ cricket 1st XI’s sequence of heavy defeats of Tonbridge, Dulwich and Wellington in quick succession and proudly added that OC Stuart Meaker became the first Cranleighan to play for England. 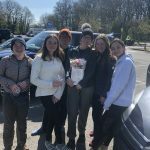 He added that the Cranleigh riders won the National Schools Dressage Championship, and the girl crews won the Gold Medal in the Devizes to Westminster Canoe Race. 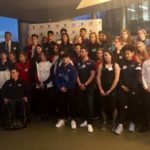 The successes also in golf and netball were underlined, with individual successes also announced, including Felix Sudderick, the Southern U14 Fencing champion and Maddy Austin, the National U18 800-metre champion. 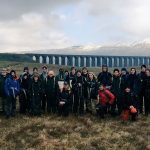 The packed Sports Centre audience heard that no less than 175 pupils gained Duke of Edinburgh Awards this year and were then reminded of the incredible bicycle ride undertaken by Head of Economics and Business Studies, Stuart Block: just under ten thousand miles. 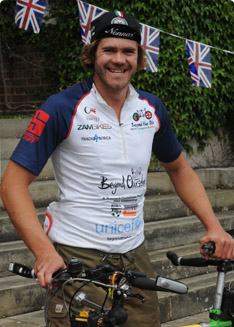 Guy Waller added that forty Cranleighans have so far been out to Kitwe in Zambia to help construct Kawama School and urged parents to pledge support for ‘Beyond Cranleigh’, to cover the shortfall of twenty-five sponsorships of the Kawama children. 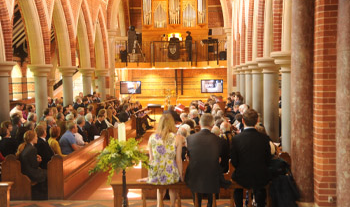 Immediately after the speeches the two parts of the day overlapped as the Chapel was packed with OCs and current parents and pupils to hear the final concert in Philip Scriven’s marathon journey through the complete organ works of JS Bach. Only the cricket fell foul of the weather and the rest of the day provided nearly as much entertainment as a Wimbledon final Sunday. As well as the Art and Design exhibition of the inspired work produced by pupils of these two departments, there was a chance to see the remarkable show by Peter McNiven: ‘Paintings 1978-2012’. This was a dazzling array of landscapes, still lives, portraits and self portraits, some of which have hung in, or are still held by the Royal Academy, the National Portrait Gallery and the Imperial War Museum (his portrait of Margaret Thatcher included). 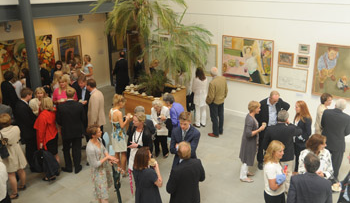 Other exhibitions included one highlighting the work in Zambia for the ‘Beyond Cranleigh’ charity and another topical display of Cranleigh’s links to the Olympics. Touch Rugby and Hockey, for both boys and girls, provided further entertainment for current pupils and parents as well as the OCs, who had also a reception for leavers from the years 1952/62/72/92 and 2002.